This displays the current compass heading of the vehicle. - Clicking this control displays the location of the device running the Tesla Control app. 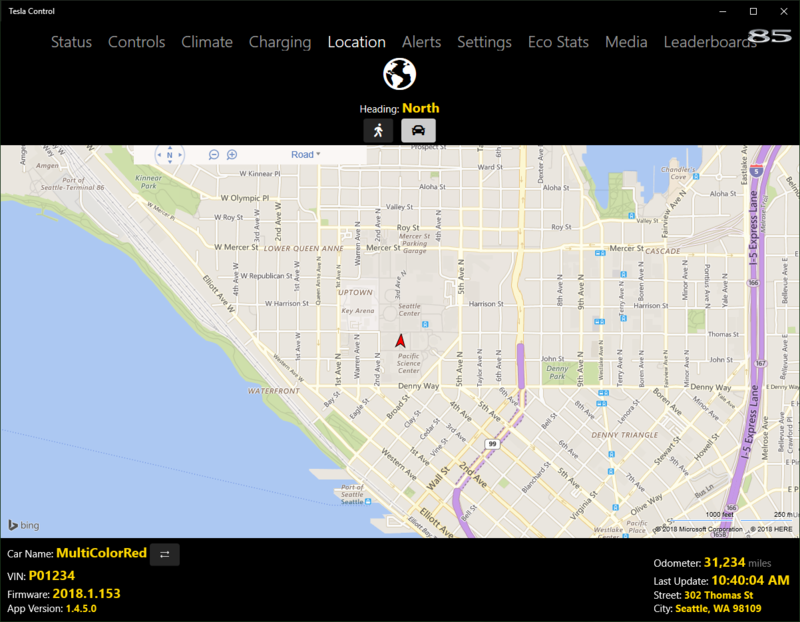 - Clicking this control centers the display on the current location of the vehicle. - Clicking this control displays nearby charging locations.